A Rockin' Athletic Recruitment Timeline | Let's win college. So you’ve been playing a sport since you were a little tyke, and now that you’re starting to think about the college process, you are also beginning to think about the college recruiting process. While I didn’t experience the process in my own college search, I did help a great deal in my brother’s. Let me preface this by saying that my family as a whole went into the process pretty blind, and we are definitely not alone in this. Fortunately for all you Prospect-reading athletes out there, I’ve compiled both a timeline for the hopeful college athlete and handy tips to keep in mind before and during the process. This seems like a super obvious thing, but in a day and age where participation trophies are given to even the most inept, we are apt to misjudging our abilities. The harsh reality is that colleges aren’t looking to recruit a second string. No matter how much you love a school, if you aren’t on par with their best athletes, it isn’t going to be a (recruiting) match made in heaven. In my brother’s case, this meant he had to find out how fast the college’s fastest butterfly swimmers were and make sure his times were faster. I know, I know… this seems to reiterate the point I just made. However, rather than considering where you would fit in on a team, you also need to consider what they already have. If they just recruited three point guards a year ago, they probably aren’t looking for another. While this may be totally unfair, it’s a harsh reality that a college is going to be looking for a certain athlete, and you may not always be what they need. Take solace in the fact that there are lots of collegiate fish in the sea, and you are bound to get a bite. 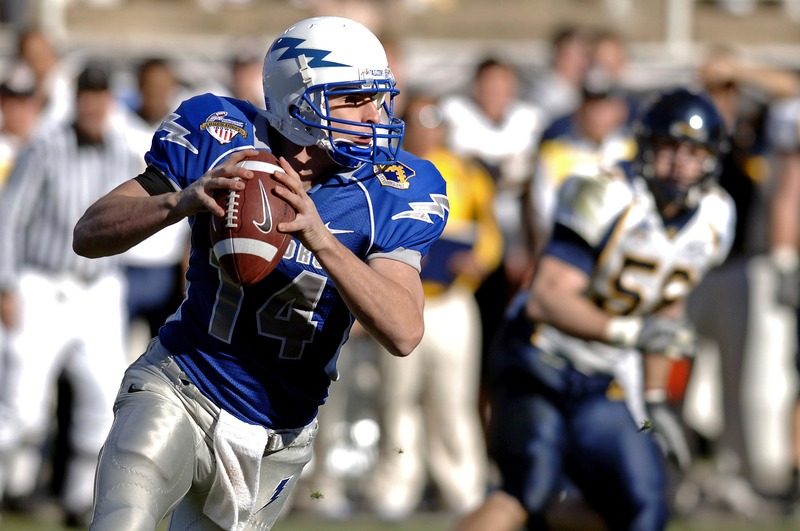 Although you may not know if you definitely want to participate in college athletics, this is the time when you should start looking at eligibility requirements. It is much easier to plan your schedule now than realize at the end of junior year that there is no way you are going to meet the eligibility requirements. Also, when planning your schedule, refer to the approved course guide that the NCAA has created because sometimes the classes they won’t accept aren’t ones you would expect. For instance, seniors at my school get to choose from a bunch of different English electives; however, this becomes messy because it creates a million conflicts. An issue for some of my classmates became finding an English class that didn’t conflict with their schedules, but was still an approved course. Spoiler: They basically will not approve any class that involves computer science. Anyway, this guide should be used during any course selection, else you may end up not being able to play for your school of choice simply due to ineligibility. This is a good time to start composing a list of colleges that you feel are match for you as far as your current academic and athletic standings. Keep in mind that at this point in the process, college coaches will not be able to reach out to you due to NCAA rules, but that doesn’t mean you can’t reach out to them. However, if you call and leave a message, they are prohibited from calling back (though emails are fair game). Often, high school athletes are ignorant of the strict regulations upheld by the NCAA and think the lack of contact is akin to lack of interest. For students hoping to be recruited by colleges, it is important to get standardized testing out of the way early so that coaches know where you stand amidst their applicants. While an endorsement from a college coach can often be a tipping point in a student being admitted, it may not be able to raise the dead. Be that as it may, it can also work to your advantage. If a coach has two players with roughly equal ability but significantly differing test scores, it can be the deciding factor in which the coach is going to go to bat for. Furthermore, it is important to have them done early because it will give plenty of time to retake them if necessary, as the NCAA does have requirements as to how low SAT scores can be without eligibility being revoked. You also need to be maintaining constant contact with coaches, but avoid becoming a nuisance by pestering them. For a most juniors, spring break is an important time for college visits; however, for any hopeful recruit, its importance is magnified. Why? It gives you a chance to meet face to face with coaches and current players, which will give you a feeling of whether or not you’ll be comfortable in the program. Starting on July 1st, colleges will be able to contact you with offers, yay! However, this doesn’t mean your job is finished. First and foremost, you MUST register with NCAA Eligibility Center if you plan on playing Division I or II, otherwise only a Division III coach will be able to make you any offers. This is when you’ll start going on official college visits, where the college is picking up the tab. The NCAA only allows five of these visits, so they should be used wisely. However, you are also still able to go on unofficial visits to your schools. For students who are offered an early letter of intent, this is when you will end your recruiting process. However, the regular signing period will not be until the spring, so it’s definitely important to keep in contact with coaches, even if you have already made a verbal agreement with a school. Why? Deals fall through. In fact, in my brother’s case, he was a week from choosing one school and then the coach changed his mind. However, because he had kept in communication with other interested coaches, he still ended up in a program that he loved. This story could have had a much different ending if he had cut off contact with other coaches as soon as he had a verbal agreement. Contrary to popular belief, verbal agreements are NOT a guarantee. This is generally when the recruiting process wraps up, and students begin to sign letters of intent. For exact dates, it is best to check up on the NCAA website because it can differ based on what sport you are playing. Hopefully this has given you a good overview of the college recruiting process, although it’s important to keep in mind that a lot of it will be dictated by what sport you play. The important thing to remember is that regardless if you receive one offer or fifty, you need to ultimately choose a program where you feel the fit is right both athletically AND academically.